First up today, I wanted to direct you to a super fun interview I did over at Health Blog Helper! 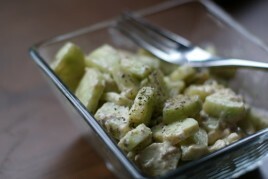 Health Blog Helper is the newest website to hit the healthy living blogosphere. 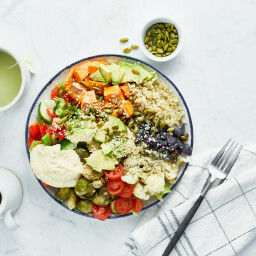 Matt, the author of Health Blog Helper (and also of No Meat Athlete) and Alison from Mama’s Weeds teamed up to do the interview. Matt created HBH to help health bloggers with the blogging aspect of their blogs and offer advice on what they can do to improve their skills, content, site set up and more. I absolutely love Matt’s approach to this blog. Matt gives you amazing tips on improving traffic to your blog, but he does it in a manner that is totally modest, caring, and humble. That is a really hard thing to do, but he does it well. Remember: YOU all have the power inside of you to run too! Trust me, if a former ‘hater of running’ like myself can run a half-marathon, so can you! Or a 5k or marathon or whatever tickles your fancy. Go out there and go for it! (and then email me and tell me all about it! hehe). After doing my half yesterday, I got to check off two things off of my fitness bucket list. I was chomping at the bit to check something off…finally! Each time I complete a goal, I remove it from the bucket and paste it on the side so I can see it daily. I reasoned that this was better than putting them inside the bucket once completed because then I wouldn’t really ‘see’ them anymore. 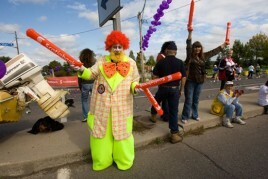 Yesterday was also quite possibly the strangest day ever!! I guess I was on a major high from my half marathon because I didn’t stop all day. I was in some kind of manic cleaning, organizing, and tidying spree! So strange. I barely sat all day long aside from typing my post out. I cleaned the bathroom, closet, did laundry, did dishes, etc etc. Eric was like, are you going to sit down today??? lol. I was definitely running on endorphins. I didn’t nap and I didn’t go to bed until after 11pm. If I pass out at my desk this morning until 6pm you will know why! We couldn’t decide what to do last night, so I suggested Wal-Mart (I just realized how lame that sounds!). My sister called and left a message Saturday saying I should have an Epsom salt bath soak after my race because they are so healing for sore muscles. Of course, I couldn’t find any in the house, so we made a beeline for Wal-Mart! 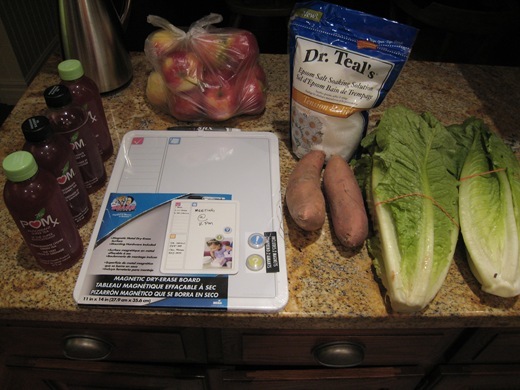 4 POM Antioxidant teas, magnetic marker board, 12 tiny Gala apples, Epsom Salts (Tension relief), 2 yams, and 2 romaine (77 cents each!). 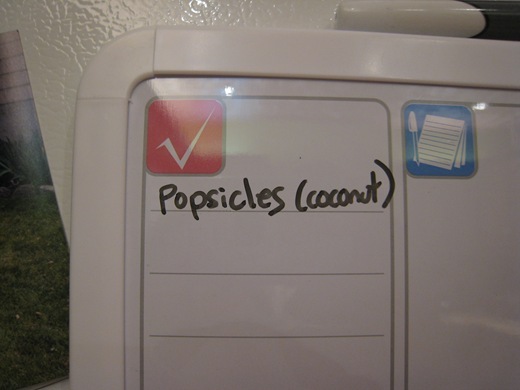 Popsicles!?!? haha. Can you tell I have an obsession with these Natural Choice Organic Coconut Bars? I keep forgetting to buy more. Let me just say that Kristi is a genius!!! My bath was quite possibly the most heavenly thing I could have imagined. I pulled out all the stops. Since I couldn’t afford to go to an actual spa post-race, I decided to mimic the experience at home with candles, soothing music, and my flowers. My muscles were singing with joy. fa la la la laaaaa la laaaa laaaa laaaaa. I added some of my Alba bath and shower gel, but then I forgot I was going to turn the jets on and the bubbles went CRAZY! It was hilarious!!! The bathroom looked like a soap bomb went off. 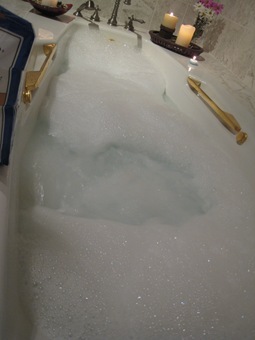 The bubbles kept getting bigger, and bigger, and bigger…LOL! I felt like a million bucks. I truly believe in the healing powers of Epsom salt! Do any of you guys use them? I think a few of you have recommended them to me in the past! Amazingly, I am not too sore today. My muscles are sore, but not in that ‘I can’t walk up or down the stairs’ type of way. My hunger wasn’t really there yesterday. I finally had a good reason to buy a huge bag of Halloween candy at Wal-Mart, but I just had no desire for it. It was heart-breaking!!! I’ve now polished of 1/2 a bottle in 2.5 days! Sounds about right. ;) This stuff is the best thing since sliced bread. When I know that I need to get calories in after a hard run like yesterday, I try to eat a lot of calorie dense foods. In other words, foods that pack a ton of calories for a small portion. The Barney Butter is about 100 calories a tablespoon so it is very easy to eat a lot of it. I had a snack of Mary’s Crackers and BB that was probably about 600 calories (4 T of BB + crackers)! It was a ‘sneaky’ way to get in more replenishment, even when I wasn’t that hungry. Almonds are a great post-run snack too. 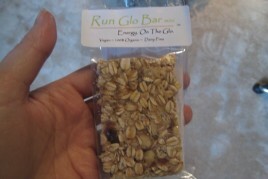 I’m dying to make a Glo Bar with it. 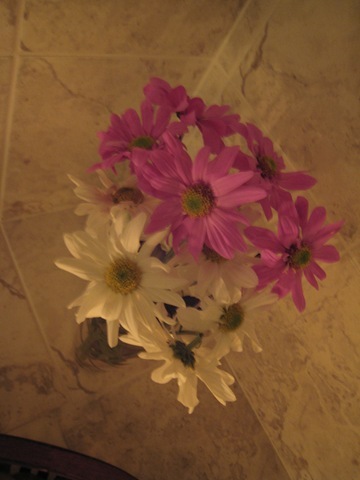 Thank you again Bree! Well, it is back to reality now. I have a ton of work to complete if I am to get US shipping underway. Luck was definitely on our side weather-wise yesterday, because it is absolutely pouring rain this morning. So glad yesterday held off! You have a very inspiring story! 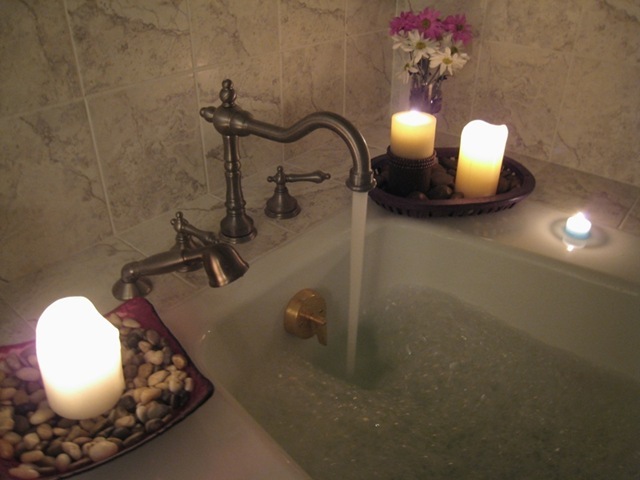 I do use Epsom salts in baths a couple of times per week, it really helps me relieve tension and inflammation. I add a couple of drops of tea tree oil as well to help alleviate sinus pressure. mmmm…love long hot baths! Congrats for your run yesterday! Yesterday I ran in my first race ever! It was only a 5k Race for the cure (against breast cancer), but still, I was so happy! I always thought I would never be a runner, but I see the light at the end of the tunnel ;). I did more than my best during the race and when I felt like walking, and just thought about all these women who would give everything to be able to run instead of being treated for cancer. My next goal is a 10k in December, I already can’t wait! Your blog gives me so much inspiration to live a healthy life without depriving myself, being too hard on myself with overexercising or overcontrolling my eating, but also with rest days, injury prevention, etc. You are so inspiring and so positive! Thank you! That picture of the bath tub made me want to take a bath right now! Instead i’m stuck at work! I need to try that barney butter for sure..I love nut butters but have never tried it…there is just so much out there to try. Your race recap and todays post has confimed my decision to run. If i can get my back in gear, i’m going to start training as soon as I can! Thanks for all your motivation and inspiration. I am going to post my green monster post today if you want to check it out! :) thanks for inspiring me and all your other readers!! you rock! I’m so glad you’re feeling great! That “spa” session sounds lovely. Oh, and I love your bathtub! Uh, your bathtub looks like it COULD be a spa! I’m so proud of you girlie…have i told you that yet? Glad you pulled up ok after the half!!! 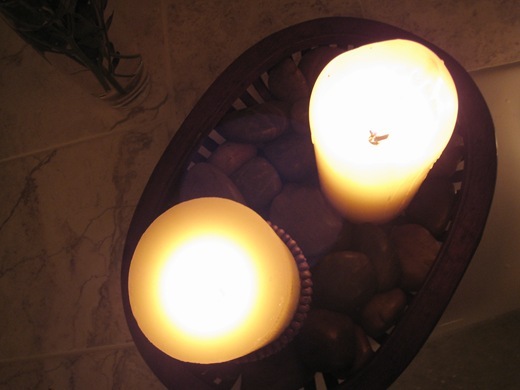 I really wish I had a bathtub so I could have an epsom salt bath too – they are GREAT! Epsoms are great – especially the great bang for your buck you get! And thanks for the exposure to Health Blog Helper! That is a beautiful bathtub! I also love Epsoms although I don’t know their true potential because I have never actually used them when my muscles were sore. I always forget about them then. 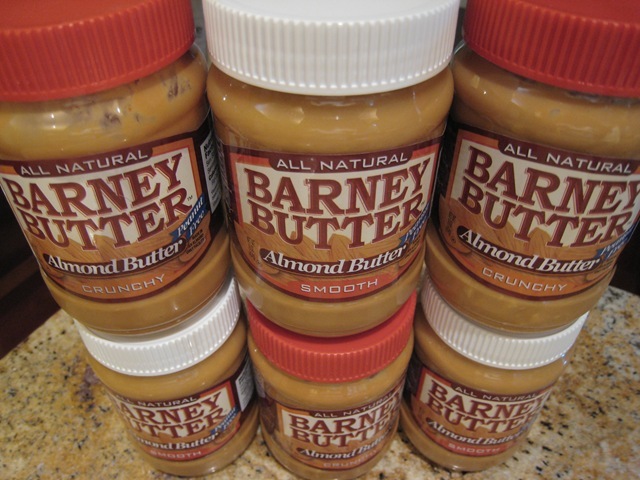 That is so awesome that Bree sent you Barney Butter – I wish we could buy that stuff in Canada! I am going to have to remember to pick some up next time I am in the U.S., so I can try it! Your interview with HBH was great! I am definitely going to check out that site more often now. I LOVE your bathtub!! Now I want to take a bath! That must feel so accomplishing taking things from your bucket list! Loved reading this post – I can’t imagine having energy for ANYTHING after running a half marathon! Go girl! great job and the half! You are a rockstar! Way to prove that comeback from injury is totally possible. Love the bath, i’ll have to try it! i really enjoyed reading your interview and definitely think you have met your goal; you inspire so many women daily with your positive message! epsom salts are wonderful for soothing aching muscles! i HATE ice baths, but those also help me as well. Angela, your bath made me feel better and I wasn’t even it it!! How beautiful!! You did wondeful, like i knew you would!! looks like you did a good job turning your bath into a spa! Awesome! Epsom salts truly is a great thing. I use it when my knees or tendonitis flares and it is just relaxing. I like adding essential oils to it so that i get that spa experience. I really liked the interview. I’m a newer reader of your blog, so it gave me insight into the purpose of your blog and what you are all about. I’ve also always been rather curious about how blogs become popular. For me, it is the relate-ability that I like, as well as the passion you convey in your blog about living life. Keep up the good blogging ways! The bath does look quite indulgently wonderful too! And once again congrats on your race! Going to read the interview…. now. I love your bathtub! Looks like you did exactly what you wanted after your race- that is awesome! I hate it when I have the perfect excuse to eat junk and just don’t want it. It is such a bummer! im so proud of you lady you are awesome! i want to start marathoning so bad! i just need to train more and more! 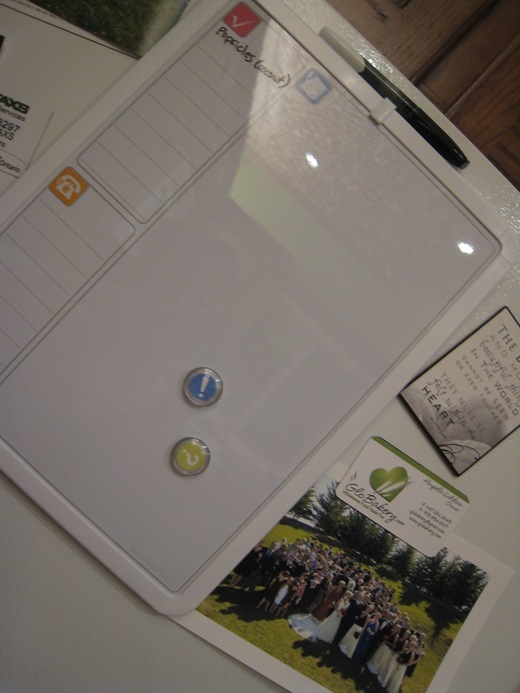 i used to have a marker board for the fridge.. i need to get another one! such a convienent thing to have! aw.. your baby romaines are so pitiful – sorry, but this fall produce is so depressing! great sale though! woo hoo! That bath looked amazing!! I forget how good a nice bath feels sometimes! Congrats on your race yesterday too! You totally showed those people who were waiting in the beginning with you who is boss!! Hey Angela, I just wanted to inform you and your readers of the 31-day yoga challenge I will be doing in October. I got the idea from Tina’s (carrots ‘n’ cake) blog, but will hopefully be making it my own:) I know you mentioned in previous posts that you could never really get into yoga, but…I’m devoting all of October to positivity, so I hope you’ll stop by and check out my blog! ps: your bath is amazing. Glad you are enjoying your wondeful accomplishment. Take it all in hun! um, i took an epsom salt bath and it did NOT look like that. very impressive tub you have!!! congrats, angela! well done! hooray! i’m so delighted for you. epsom salts heal all! absolutely. sometimes i like to spread some on old cookies sheets, mist them with essential oils (peppermint, lavendar, eucalyptus, etc) and let them dry. then i mix them with baking soda to keep them from sticking together. viola! my own bath healing bath salts for super duper cheap! ps – your bathroom is heavenly!! enjoy! Wow, I want that faucet on your tub. Actually, nevermind the faucet, I just want to soak in a hot tub. The candles make it look so calm and relaxing! Congrats on your race. You did a great job… and what a cool little bucket list you have going there! Great interview! I loved reading your answers to the questions! YAYAYAYAYAYYAY!!! Yay for your amazing experience at your half marathon!! So inspiring to read about. That’s too funny that you were on an energy spree yesterday! I did my first sprint tri on Sunday (check out the recap at http://courtlove111.wordpress.com) and I was the same way! I thought for sure I would be dead tired by the time I got home and could lay down. But not even a little nap! Congrats again on the amazing experience. Congrats on your run!! That bath does look heavenly, if I do say so myself!! Your bathroom is spa-worthy! Oh, how I wish I could upgrade my single-stall shower for a bathtub… makes me appreciate hotels more though, I guess :-) When I do get to take a bubble bath, it’s a real treat! What a great accomplishment!! 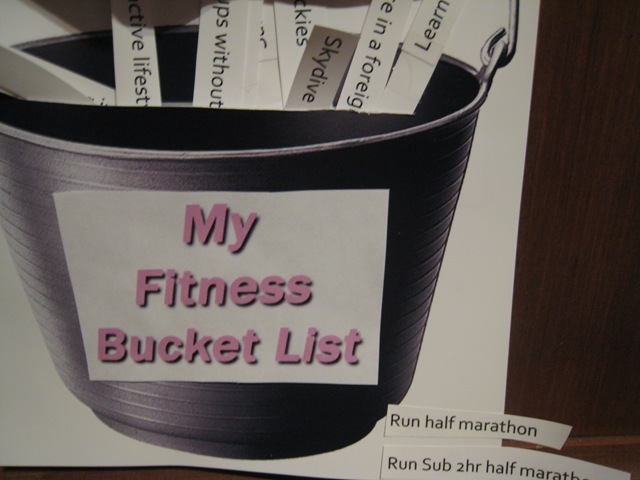 Isn’t it great to accomplish goals on your fitness bucket list?!? You are so inspiring! I love using epsom salts. . . and I love your bath! Beautiful bathrooms and kitchens are a must have for me! Epsom salt baths are the best! Congratulations on being able to cross off some things on your bucket list :) and that bath looks sooo good!!! Wow that sounds so nice to run a half marathon, take a sea salt bath, and eat lots of natural peanut butter! haha I love all natural peanut butter. 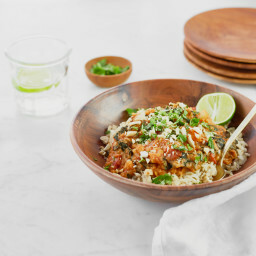 I also had to tell you that you have inspired me to make my own health blog…I am just beginning but it is on it’s way :D And I can relate with you very much so because of your stories about how you used to be obsessed with it…I was the same way, it’s amazing the change it can be to not worry about calories, fat, exercising every SECOND of your day…it is so nice to just have it incorporated into your lifestyle. There is nothing better than feeling good about yourself because of your health. I loved your article! You seemed so honest and open in the way you spoke. Of all the blogs I read, I feel like I can relate to you the most in the disordered eating you went through. I also had this problem and until recently have started to overcome it (although it is a continuous battle!!) Whenever I feel these negative thoughts creep up on me, I read your blog to get me back on track and take my mind to a place of positive energy. Great article! I am currently in the disordered eating trenches and I’m about to escape so this blog speaks to me more than you can know. Your fitness bucket list idea is too cute! I love it!!! Also, I have found that rolling out my legs after longer runs helps so much with soreness the next day. It’s like a miracle!!! Dear Angela, congratulations is an understatement.. you have come so far and clearly have only just begun. Previous post: Scotiabank Toronto Waterfront Half-Marathon Race Recap!